Regular maintenance involves spending time and money on a known schedule, thereby avoiding surprises. It starts with cleaning, because only when the equipment is clean can the owner see exactly what kind of maintenance and repairs are needed, and spot wear before it becomes an issue. After cleaning comes inspection, and only then is it time to do the actual repair and maintenance of the equipment. It all comes down to knowledge, knowledge of what a given implement at any given time. A regular maintenance schedule saves the Farm Owner time, money, and aggravation; and keeps the expenditures that do occur under control and on a manageable budget. Jain Farms strives to provide quality fence and gate installations as well as repairs, developing long-lasting relationships with our clients. We make it our goal to ensure that each Farm owner who purchases a fence is satisfied with his or her product and the level of service provided. Fencing can be used to mark boundaries or make a partition area of your plot. Having a Solid Fence will avoid the plants and their yields being eaten by cattle’s and prevents any intrusion of any animals into your plot. Fencing will help to protect the plants and yield from being plucked / stolen. When you put a tall fence around your house, it helps in improving privacy & will prevent people from watching your home for any activity. Having a solid fence will deter intruders and strangers from entering your plot. When you use tall fence made of Precast compound or RCC, you protect your home & plants from winds that can damage them. Fencing is an investment that helps in improving the exterior look of your home & plot. Kindly contact us on 09342244450 or mail us at jfservices@gmail.com for the estimation of your Plot Fencing. Premium maintenance is for the selected Farm owners who want more from their Farm. Herein we have a dedicated Supervisor for premium plots. The monitor and supervise the plots every months instead of once in 3 months. If you love farming or gardening then its Premium Maintenance for you. Do you wish to join the league of those who own big farmhouses and use it as a weekend retiring destination? Jain Farms brings you the chance to own such a farmhouse where you can enjoy the luxury of reclining in the lap of nature, growing your own organic farm food while earning a good sum out of the agricultural produce. With most properties across India’s metro cities witnessing a price rise, one idea floating among the traditional investors is to buy agricultural land, which is usually tax free. Farmhouses symbolise luxury and are not a common real estate choice. Since the city does not have enough space for big houses, Gated Farmlands like Jain Farms Bagalur are preferred for farmhouses. Fences or Compounds, like most improvements, are only valuable to those who desire them. Fences that create privacy, security or will be used by a new owner to keep children and pets safe, will always add value. It will also help you mark boundaries and be a deterrent for others use pluck the fruits or flowers from your farm. You can avoid to dig a borewell on your site, as the company provides water and wastewater services throughout Jain Farms Bagalur with its Well laid pipes covering the entire stretch of 750 Acres. The idea behind the process is simple. Rainwater is collected when it falls on the earth, stored and utilized at a later point. It can be purified to make it into drinking water, used for daily applications and even utilized in large scale industries. In short, Rainwater harvesting is a process or technique of collecting, filtering, storing and using rainwater for irrigation and for various other purposes. Do you wish to join the league of those who own big farmhouses and use it as a weekend retiring destination? Jain Farms brings you a chance to own such a farmhouse where you can enjoy the luxury of reclining in the lap of nature, growing your own organic farm food while earning a good sum out of the agricultural produce. Farmhouses symbolizes luxury and are not a common real estate choice. Since the city does not have enough space for big houses, Gated farmlands like Jain Farms Bagalur are prefered for farmhouses. We are convinced that we have taken the correct decision by opting for the PREMIUM MAINTENANCE for our Plot.We would also very much appreciate if indication boards are installed showing the Plot Numbers enroute to facilitate easy location of respective plots. Thanks to you. a ton for the pictures. Special regards to you. They look good. 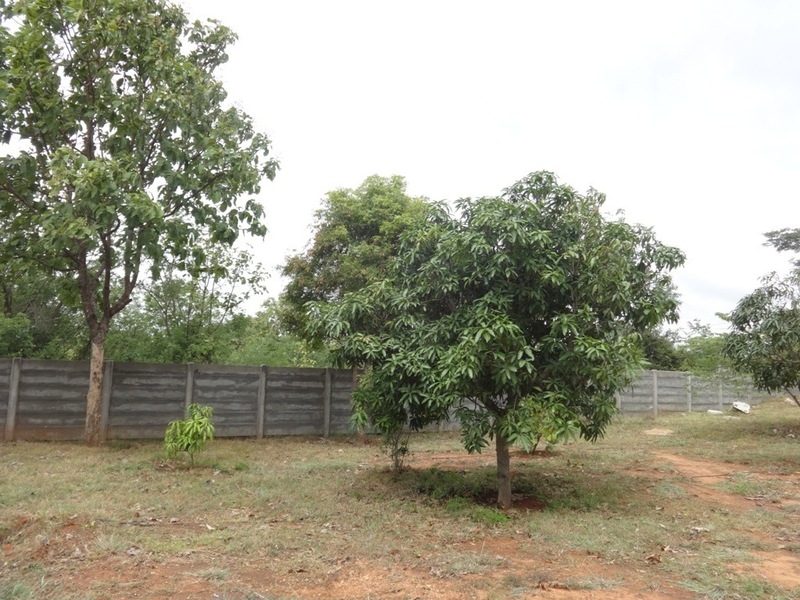 Please convey my special regards to Mr. Sathyamoorthy and his team for taking such good care of our plot. As I mentioned on several occassions, it is people like you and Mr. Sathyamoorthy who make Jain Farms stand-out among the numerous real-estate projects. Though we started 15 minutes late but we were able reach Jain farms located on Baglur & Maloor Road by 8:15am. At Sarjapur village we mistook people taking other directions later on realized most of them were ahead of us. The place is maintained very neatly. After finishing our breakfast & tea then we went out for a stroll & were scared if we would get lost as we were told that Jain farms property is of 800 acres land. We happened to see some birds which included Emu Bird then next Turkey and rested for a while at the Swimming pool. The place is worth visiting in your leisure time and spend a night with the family. On behalf of GoGreen Family we Thank all the staff members & other organizer for their kind hospitality & also for giving us an opportunity to visit this place. Next time if we have a chance we will visit in more No’s . Go Green Initiator Group (GGI Group) is part of www.GoGreenGoCycling.org consisting of professional who are putting efforts 2 create Cycling as a mode of transport & at the same time appealing communities to Go Green to Save all kind of Natural Resources & Nature around us that are contributing to GLOBAL-WARMING. Come and join us to be part of our initiative & be a proud member of GoGreen Family. Jain Farms is very happy to partner and use the expertise of Mr. Ayeppa Masagi to optimize the Rainwater Harvesting & Recharging our Existing Borewells. Under his guidance of harvesting & saving water, going forward Jain Farms aims to end any more borewells in the entire Jain Farms Property. Ayyappa Masagi also known variously as Water Gandhi, Water Doctor and Doctor of Dry Borewells has harvested 8000+ Crore liters of water till date. Masagi has helped thousands in India to become self-sufficient in water use through his water harvesting techniques. For his efforts, he received the Ashoka Award for Public Innovation in 2004, and in 2009 ‘The Jamnalal Bajaj National Award for Application of Science and Technology for Rural Development. He also holds Limca Book of record and unique world record for highest number of lake construction since 2012. He is founder of NGO ‘Water Literacy Foundation’ which has already conducted numerous programs on water conservation subject nation wide. Feel free to drop by or contact us for any queries or information.